While a lot of attention has been focused on a certain government website lately, you may not have seen http://www.ourdocuments.gov. Our Documents – 100 Milestone Documents contains the list of documents plus a link to each documents’ texts and original scans. You can immerse yourself for hours. “These documents reflect our diversity and our unity, our past and our future, and mostly our commitment as a nation to continue to strive to “form a more perfect union.” The documents also represent excellence in document digitization. 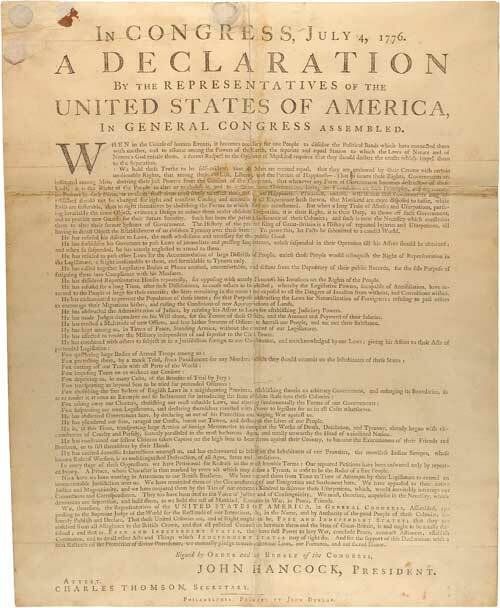 Even if your documents aren’t as important as the Declaration of Independence, they’re still vital to your business. There are many reasons to scan, and preservation is just one of them. Learn more about Modern Image USA or get in touch now to learn how we can help you.